Vertical gardens are fab for boosting your boundaries. In small gardens where space is tight, greening up the perimeters really boosts the horticultural potential of the space. Climbers can be unruly and dull, so this vertical garden system is just the ticket. I work in a lot of tiny plots where garden design is crucial as every square centimetre counts. Boundaries are important as they effectively take up the biggest area in the space. No matter how fabulous the ground design looks, if the boundary is weak it will let down the whole feel of a garden. Climbers can also be difficult to control, invasive, or highly seasonal. There are a variety of products on the market to help solve this problem. Ranging from Corton steel to Perspex, cedar fencing and ornate tiling, but something I would like to explore further is vertical gardens. There are a variety of systems on the market, but the one from Gro Wall caught my attention. What I really like about vertical gardens is the variety that you can deploy. You can plant it up with alpinia and sedums if you have a very sunny spot, conversely, if you are tackling a shady corner, you can maximise on ferns and ivy. How to use a vertical garden? I love the idea of creating these vertical gardens against buildings. They are a great solution for hiding ugly areas or even as a feature in their own right. Creating beautiful verdent facades with a wall system facilitates easy installation and integration with existing buildings. 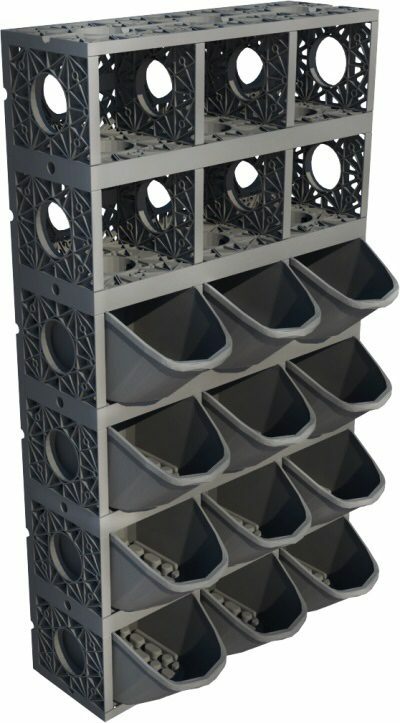 It enables plants to survive extreme outdoor conditions by providing direct water supply controlled for individual plants to minimise water usage. Varieties of plants can be used to create whatever look and feel that you prefer. Because of the accessible system it allows easy maintenance and plant design changes should you so wish. The plastic version is made from recycled materials and attached directly to the wall. 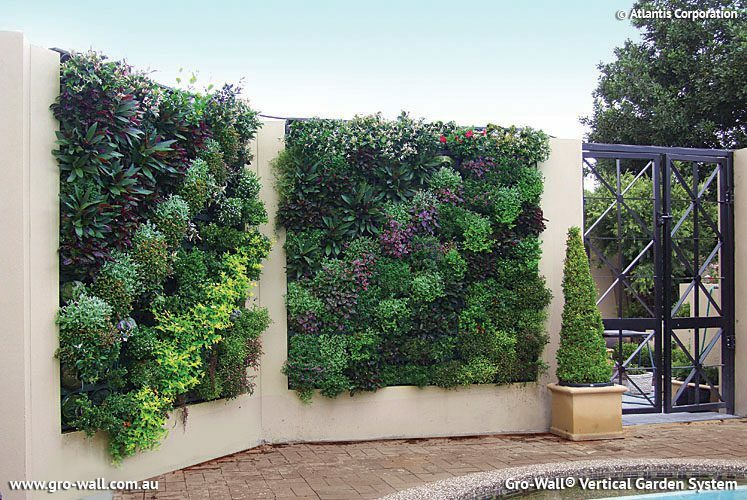 Large vertical gardens can insulating buildings, cooling them in the summer and retaining heat in the winter.